Food trucks have become a popular option for people all over the United States. 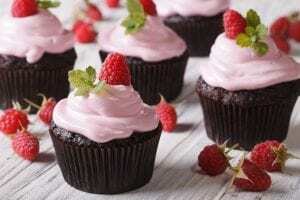 Some types of foods, however, get more attention than others because of their creative delivery or their appeal to mass cravings. 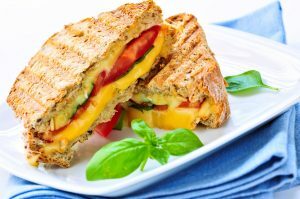 Learning about these top popular food truck cuisines could help you decide what dishes you want to make for your customers and which dishes will be the most successful. Remember, a fresh spin on a classic dish will do wonders for your food truck business. It’s hard to beat well-made barbeque. Whether you want it on a fun sandwich, or just in a bowl you know you can please a crowd with barbequed anything. Today, you can find all kinds of barbeque sold from food trucks. Kogi has turned Korean barbeque into a staple of Los Angeles’ food truck scene. The Cinnamon Snail has even turned plenty of people on to BBQ tempeh. 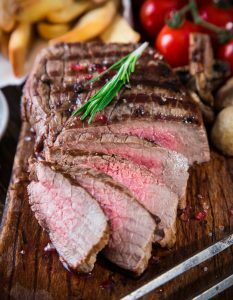 If you cook your barbeque carefully and use a great sauce, then people will love what you do. White Castle might have made sliders famous, but food trucks perfected the art of making these delicious, tiny burgers. Many food truck vendors have completely abandoned the traditional slider. They don’t want the simple hamburger patty with grilled onions and a soggy bun. Instead, these chefs want to make things like bison sliders with green garlic aioli and capers. 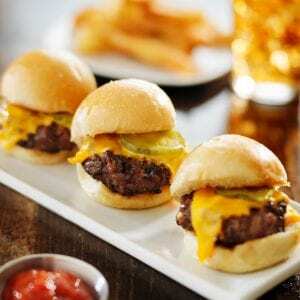 If you can match their delicious sliders, then you are ready for the big time. It’s amazing what they can do with the simplest ingredients in tiny bite-size sandwiches. Ten years ago, you couldn’t find an Ethiopian restaurant in most towns. Today, food trucks bring Ethiopia’s delicious cuisine everywhere. Ethiopians typically eat with their hands so forks and spoons aren’t involved in the serving or eating process. They don’t even use chopsticks. Instead, they use a spongy bread to scoop up bites. 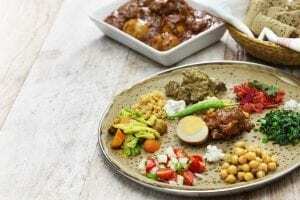 Newcomers often think it’s odd to eat with their hands, but it doesn’t take long before they get into the spirit of enjoying Ethiopian food prepared by someone who really understands it. EireTrea has earned a name as one of the best Ethiopian food trucks in San Francisco. They have traditional dishes like chicken doro-wet, but they also have curry fries and battered sausages. This helps bring the very best of African cuisine to foodies all over the United States. You can’t leave out tacos when discussing food trucks. Some people claim that the entire food truck movement has its roots in Los Angeles’ taco trucks. These trucks started serving hungry people more than two decades ago. 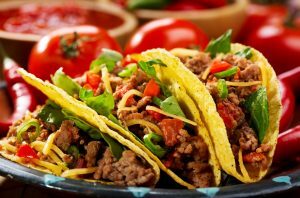 That would help explain why Southern California has so many of the country’s best Mexican-inspired foods. Raul Ortega’s Mariscos Jalisco has been raising the bar on tacos, burritos, and other popular mexican seafood dishes for more than a decade. People rave about the ceviche and the shrimp tacos served with fresh avocados. If you’re trying to model your menu after homemade goodness, you need only look to Tacos El Korita. They offer homemade tortillas and highly reviewed carne asada burritos. All the options are customizable as well. This brightly colored food truck has tacos that some people say actually beat Masiscos Jalisco. It is a heated debate in a city that knows its tacos. Making a pizza requires a lot of special equipment, especially if you want to stand out as one of the country’s best food trucks. Don’t even bother showing up to the competition if you just have an oven in a van. The best food trucks go all out with some pretty amazing arrangements. 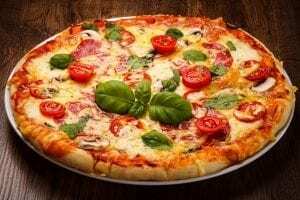 Eddie’s Pizza Truck has a traditional New York City style, but the careful attention paid to the dough and toppings makes every slice something special. PizzaMoto, also of New York City, focuses on making pizzas with mobile, wood-fired ovens. You’d have a hard time finding any other food truck serving this kind of pizza. Somehow, cakes went out of style. No one seems to want cakes, anymore. Instead, every person wants a unique cupcake. It’s a strange trend in popular American food, but it has had a big impact on dessert trucks. Sugar Babies Cupcakery, based in Los Angeles, also has a food truck that brings sweet delights to the people. Sugar Babies combines good business sense with the great flavor of home cooking. Who would pay a gourmet price for a grilled cheese? A lot of people when those toasted sandwiches also include soft cream brie, sliced bacon, fried bologna, mixed greens, and spicy chorizo. That’s what Lil Cheezers in Louisville, Ky. offers. The truck boasts that it has grilled cheese sandwiches unlike anyone else. According to the menu, Lil Cheezers might be right about that. The Grilled Cheese Truck in Southern California offers similarly fancy options. That just shows how a simple meal can blossom into a cultural phenomenon full of variety. Lobster rolls have become another craze that food trucks quickly filled. Garbo’s in Austin, Texas gives customers several lobster-based choices. 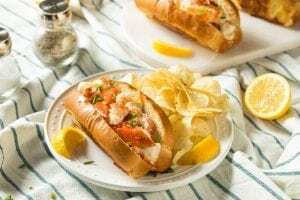 Lobsters rolls are popular, but Garbo’s steps in to offer the full menu. Lobstercraft in Norwalk, Conn. also serves a variety of lobster rolls. The spicy rolls come with a lobster claw. The truck also has soups, croquets, lobster mac and cheese, and plenty of other seafood dishes. Whatever you think your specialty is, make it memorable and different from other food trucks who offer the same cuisine.